Freelancing as a graphic designer comes with many risks. In particular, you never really know when you will get paid, whether it’s due to a lack of business or a project gone wrong. And with bills to pay, the stress will affect your well-being and productivity. Furthermore, everything is getting more expensive nowadays — made worse by excessive consumerism in today’s society, with ads everywhere encouraging you to part with your hard-earned cash. Even after achieving success, the last thing you want to do is reward yourself with poor spending habits. Instead of working longer hours in order to pay your credit card bills, you might want to consider the notion of frugality and embrace it as a lifestyle. In essence, frugality is about spending less than you earn — which really isn’t as hard as it sounds. You just need to make small changes on a daily basis, and stick to it; two dollars saved every day will amount to more than seven hundred dollars in a year. Your first step is to keep track of your after-tax income and expenses. Since you’re probably using an online payment service like PayPal, you shouldn’t have any issues figuring out how much you earn. In fact, you can generate your monthly statement on PayPal with just a click of the mouse. Keeping track of your expenses is more troublesome since they come from many different sources, whether it’s physical or digital. One solution is to save your receipts and debit or credit card statements in a folder, while having a notebook to write down your online purchases. Next, set up a spreadsheet so you can categorize and prioritize your expenses; a bar of chocolate is definitely not as important as paying rent and utilities. Once you learn more about your spending habits, setting a monthly budget for each category should be straightforward. You just have to make sure that the total budget doesn’t exceed your monthly income, after factoring in savings and debt repayment. Now that you have the numbers, think about how you can work within budget — by living below your means. In doing so, you’re guaranteed to save more than you earn, which leads to long-term wealth building. Here are some changes you can incorporate into your life. Nowadays, Netflix and Amazon Prime are getting increasingly popular, and for good reason. At less than $10 per month, they provide you with more value and entertainment than cable or satellite. Going further, you should think carefully about the subscriptions you are paying for. Some of them are unnecessary, and won’t be much of a loss even if you cancel them. Being sick means a loss of income and expensive medical bills. As such, make the effort to eat healthy and exercise regularly. If you’re working from home, you probably won’t be eating out as much. However, you might be tempted to order takeaway (usually fast foods), especially when you have a lot of projects to handle. Such meals are not only unhealthy, they will eat into your budget over time. Instead, consider prepping your meals ahead of time. One of the most important changes is to avoid using credit cards. Many people pay for everything with credit cards — without understanding what they’re getting into. As the interests start kicking in, they end up in a lot of debt, and it can take years before they get out of that hole. You don’t want to be in debt as a freelance graphic designer, so it’s best to avoid that trap altogether. You can make many other changes, but embracing a frugal lifestyle is about building them into habits that stick. It might seem like a lot of work, but the rewards are well worth it. 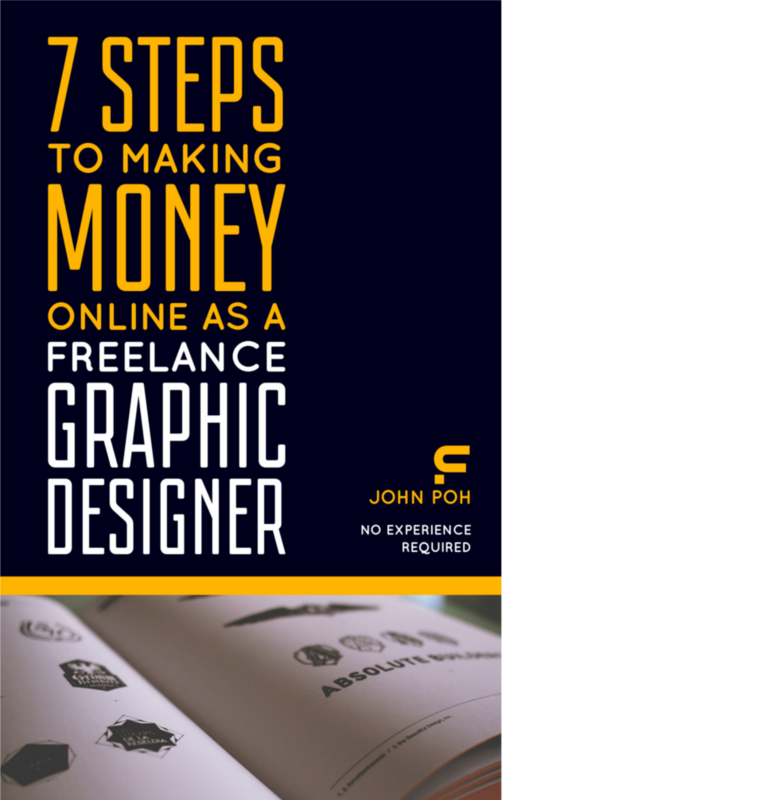 After all, achieving success as a freelance graphic designer usually means earning more than you spend — and being frugal will help make every dollar count. Most importantly, because you will always save more than you spend, you will be able to achieve financial security. Consequently, you can choose to work less, and have the freedom to live your life to the fullest. In the best case scenario, you might even be able to retire early, since you will have saved a lot of money over the years.